I’m very excited to announce that I’ll be teaching an intimate workshop at the Glastonbury Goddess House in September, working with the Faery Queen as Goddess! Join me in this beautiful venue for a day of magic, faeries and working with the Queen of the land of magic. 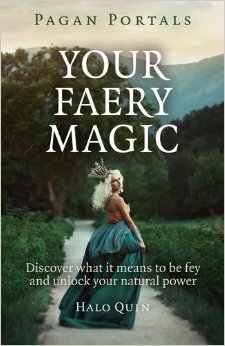 In this workshop you will be introduced to the Faery Queen as Goddess, in both theory and practice. We will explore ways of working with Her together, and you will leave with the foundations in place for working with Her in your personal practice. She is an amazing guide to connecting with the fae, who blesses creative work and encourages the healing of human relationships with the land – desperately needed in today’s world. If this calls to you, then please join us. There are limited spaces in this workshop so please book early to avoid disappointment. AND email me with your name, a little bit about your background in magical work, and what you would most like to get out of this workshop. I’ve spent my entire life pixie led, and have been explicitly devoted to the Faery Queen for almost a decade, with two decades of faery relations, magical work, and training under my belt. I’ve taught classes on working with the elements, the spirits of the land, stories old and new and many others, but my favourite classes are always those working with the Fae. It is my honour to share this work with you. My book, “Pagan Portals: Your Faery Magic” has found a home with over 1000 faery lovers and my storytelling show The Goblin Circus, born of a union between faery magic and performance, has appeared at many events across Britain, enchanting as we go. 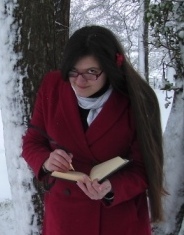 Currently I’m crafting an online course in Folkloric Faery Magic to be hosted by Spiral Nature soon. For more from me, explore this site!